The financial business world involves the management of funds, including business finance, personal finance and public finance. Areas such as financial analysis, financial management, investment, book-keeping, payroll and credit control are imperative to business success. Browse the list of finance courses below and complete information requests for any that may be of interest to you. What opportunities for training are there in Finance? 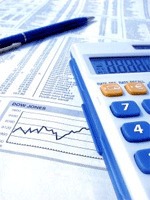 Finance is a varied field which covers business finance, personal finance and public finance. Important areas that financial professionals work in include both saving money and lending money, as well as the analysis of which markets are making money. As well as dealing with deals with how money is spent and budgeted, the field of finance deals with the concepts of time, money and risk and how they are interrelated. Finance courses often incorporates all forms of economic analysis of a company, which is beneficial for any senior manager who wants to analyse their own company or an external company. Accounting and book-keeping: involves keeping financial records of the business and producing financial reporting for stakeholders such as management, financiers, creditors, investors, auditors, etc. Payroll: this area involves dealing with salaries, payroll conversions, parental leave, sick leave, holiday allowances, various forms of benefits, and more. Payroll administrators require frequent training so they have a thorough insight into the labour laws and the relevant legislation on personal data. Tax accounting: involves the planning and preparation of a company's tax returns. Financial Analysis: involves the assessment of the stability, profitability, efficiency and viability of a project or a business. Financial Management: involves the running of the finance department and includes duties such as financial statements, accounting, payroll, reconciliations, supplier and customer invoices, calculation, planning and monitoring. Investment Banking: Worldwide banks and financial departments of companies practice investment banking which have divisions known as merchant banking, corporate finance, and capital markets. Training and courses for investment bankers are valuable in helping companies raise capital through issuing shares or bonds as well as deal with mergers and acquisitions. Credit Control: involves maintaining a consistent cash flow management, outsourced credit control, sales ledger management, credit control software, debt recovery and direct debit management. Finance courses cater to all of these areas of finance and many more. They are available at all levels and are therefore ideal for individuals looking to embark on a career in the finance industry. There are also courses for the seasoned professional who wishes to stay abreast of the latest developments and regulations in the industry.